Join 15 Amador wineries for a Friday evening wine tasting in the park on Main Street in downtown Plymouth. 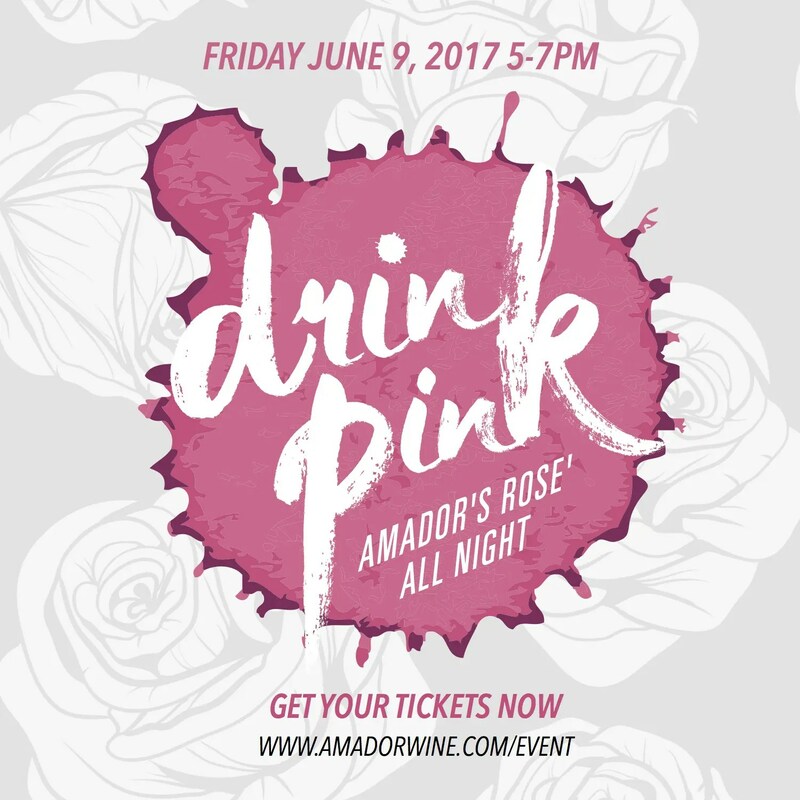 This event is all about Amador grown and produced Rosé! The next day, enjoy wine tasting at participating wineries. Tickets are $25, and include: the Friday evening wine tasting, a logo wine glass, and select food-wine pairings the following day, Saturday, at Iron Hub and other participating wineries. The Friday night tasting is a non-profit event made possible by the Amador County Wine Growers Association and Amador Vintner’s Association with proceeds going towards the Growers annual High School Scholarship Ag Fund.